A heartwarming reminder of our common humanity in these troubled times. . .
Susannah Greenberg Public Relations, 2166 Broadway, Suite 9-E, NY, NY 10024. Thank you. 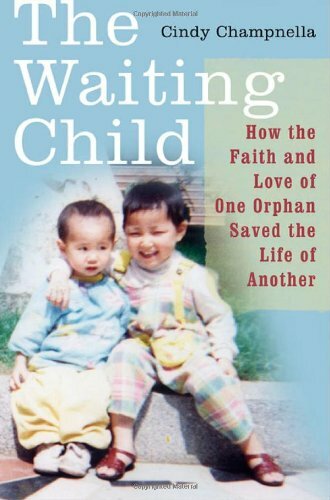 CINDY CHAMPNELLA is the author of The Waiting Child: How the Faith and Love of One Orphan Saved the Life of Another (St. Martin's Press, 2003), which was excerpted in the February 2003 Ladies' Home Journal and has been selected for review in Reader's Digest. She is the mother of six children including three step-children, one biological daughter, and two adopted daughters from China. The Waiting Child is the true story of Cindys daughter Jaclyn. 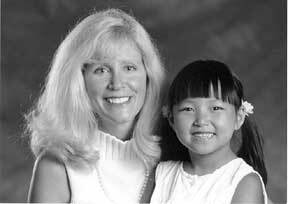 Cindy adopted Jaclyn from a Chinese orphanage when Jaclyn was four years old. After Cindy and her husband brought Jaclyn home, they knew something was troubling their daughter. Jaclyn, they discovered, could not forget the little boy who had been in her charge at the orphanage. Jaclyns boundless love for "her baby" would not be stilled, and she soon persuaded her new family that they must go back to China to rescue him. The Champnellas then began a journey that spanned oceans and cultures. They fought against all the odds to rescue "Jaclyns baby." After a two-year effort, the little boy was brought to this country as the adopted son of Jaclyns American aunt and uncle. "I guess God has finally gotten tired of Jaclyn's relentless prayers," Cindy told her friends, bursting into tears. "Her baby is coming home!" The book is a heartwarming reminder of our common humanity and the power of love. "If this story doesn't make your heart ache, you should see a cardiologist. Four-year-old Jaclyn's extraordinary devotion and determination are a powerful lesson in the meaning of love," says Jill Smolowe, author of An Empty Lap: One Couple's Journey to Parenthood. Cindy Champnella is very active in the adoption community and is a passionate advocate for and speaker on adoption issues. She and her family live in Farmington Hills, Michigan. All of the author's proceeds from the book will be donated to charity to benefit the children who remain in Chinese orphanages. 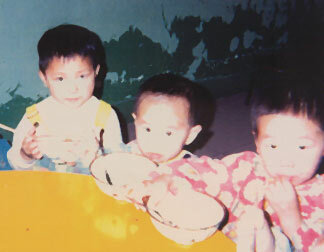 To learn more, visit the web sites of Families with Children from China (www.fwcc.org ), a nondenominational organization of families who have adopted children from China, and Half the Sky Foundation (www.halfthesky.org ),which was created by the adoptive parents of orphaned Chinese children.